Step 1. Choose products that you want to order now. Our products are organised by category on the left sidebar. Also, you can use the search box in the header on the right side. Step 2. Click on the red button “ORDER NOW” opposite the choosing item. Step 3. It’s your cart. 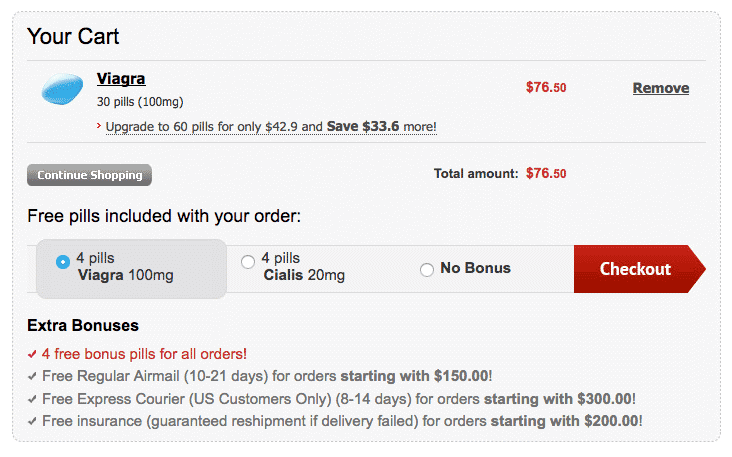 You can choose free bonus pills (4x Viagra or 4x Cialis pills). If you wish to purchase something else, you should click on the grey button “CONTINUE SHOPPING“. If you wish to proceed to checkout, you should click on the red button “CHECKOUT“. Step 4. Choose your shipping method. It can be Regular Airmail or Express Courier via USPS (US Customers Only). Typically, your purchase will arrive in 8—21 days maximum. Step 5. 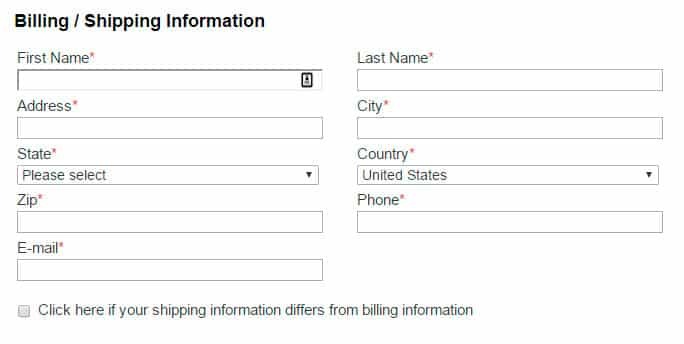 Fill out all the fields about your Billing/Shipping information. Step 6. We accept Visa, MasterCard, AMEX & eCHECK. 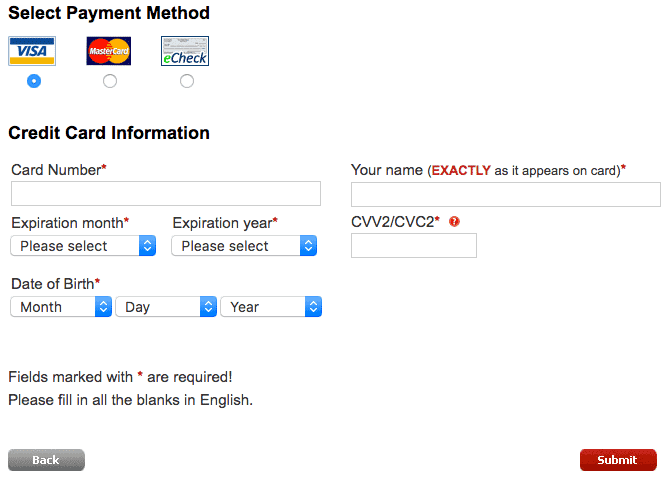 Select your preferred payment method and fill out your payment fields. Then, click on the red button “SUBMIT“. Step 7. Please wait a few minutes for the order to be processed. Then click on the grey link “GET ORDER STATUS!“.